*An English Travel Writer*: Looking round Orlando. ....well, once you realise where it is supposed to be. If you have watched the Harry Potter films you might recognise Grimmauld Place, N.1, the ancestral home of Sirius Black and family. And you know what, forget about Florida, it really could be London. 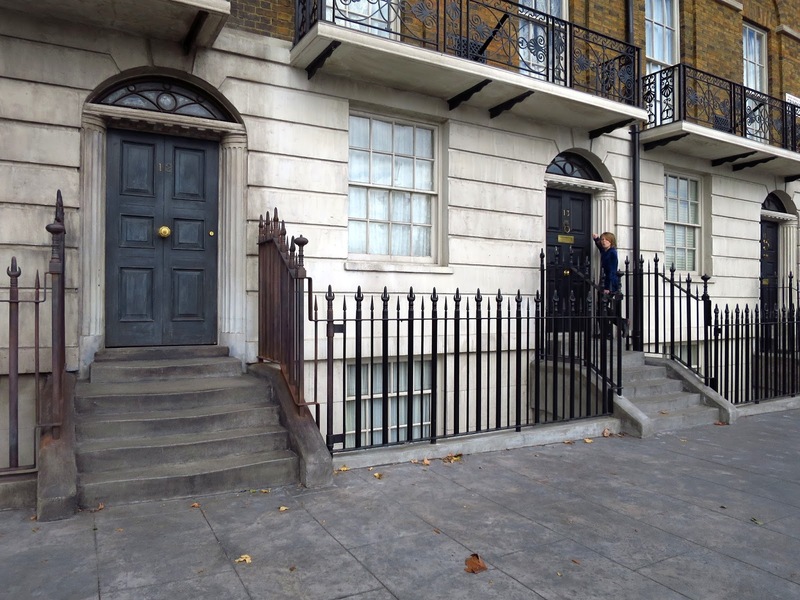 There are hundreds if not thousands of houses that look just like this in London. Grimmauld Place is part of the Harry Potter area at Universal Studios, Orlando, which I visited for the first time in many years. In the years I've been away, Universal has improved so much. Like in that old Avis car ad, you get the feeling they are trying harder simply because they don't want Disney to call all the shots. There's such care and detail in the landscaping and buildings. The rides are excellent, and merchandise and decor of the shops (specially in the large Harry Potter area) are such fun. 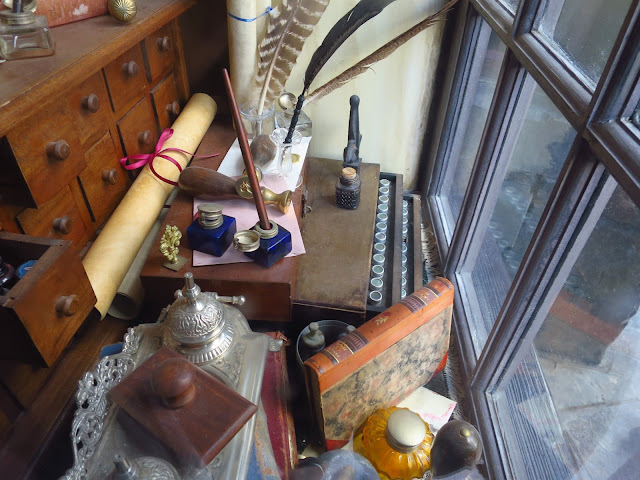 I liked this collection of wizardy writing instruments snapped through a window in Diagon Alley. There are two parks at Universal, linked by a Hogwarts Express ride. The elaborate"Harry Potter and the Forbidden Journey" ride takes place in a towering Hogwarts itself with a fabulously gothic interior. You almost feel you're riding with the characters - although I'll be honest and say that all that swooping around on broomsticks made me feel seasick. But T and Young A loved it so much they did it all over again, and would have done it a third time except that they ran out of time. It is not all Harry Potter, of course. There's a colourful Dr Seuss section for younger kids, among many other things, and as a Simpsons fan I was utterly thrilled at the chance to play in the Springfield funfair, drink in Mo's tavern and gloat over merchandise in the Kwik-e-Mart, where I was tempted to buy this chocolate bar for Young A's big brother back in London. I didn't, but you know, the boy's growing fast and eats anything and... it genuinely has bacon bits in it. Wonder if he'd have eaten it. So Universal was a big success. Young A recommends everything to do with Harry Potter, including the uncannily realisticl Hogwarts Express which takes you on a mysterious trip between the two Universal parks. We all loved the hilarious Minions virtual ride, the Simpsons rickety rollercoaster ride and the De Lorean car and train from "Back to the Future." And I was keen on creepy Knockturn Alley, with its Bellatrix Lestrange animated "Wanted" posters. As well as this, Universal has plenty of places to sit and people-watch, imaginative play areas where kids can let off steam, good places to eat, a sensible fast pass system and wasn't nearly as crowded as Disney. ....this year, for the first time ever, I didn't enjoy it. It was just so stressful. First, long lines because the entry gate system was flaky, then reduced transportation links so we queued for 3/4 hour just to get inside the park. A fastpass system helps you skip long ride lines, but it only does three rides a day, unless you plan carefully in advance via smartphone (which we had no chance to do). Several rides were shut, there were many hoardings up. By noon, I'd had two of my fast pass rides, but the last one wasn't for another eight hours! The sun was beating down, everything was packed, and the prospect of little else but hours standing in lines stretched ahead. Disney was always so good at handling large numbers of people without making them feel like cattle. But this was frankly awful, and park entry is very expensive, too. Major Toy Story and Star Wars experiences are opening fairly soon, and will probably offer better value. But really, if it is like that offpeak, now, I shudder to think how it must be at busy times. Don't let me put you off Disney if you have never been. If you can visit in low season, it will still feel amazing, and it has some awesome rides and much pretty landscaping. And the four theme parks are only a tiny part of the resort. There are water parks, nice restaurants, shops, entertainment and sports, while the Disney hotels are lots of fun for families. Families, after all, are what Orlando is about. I've always thought, though, that one of the best places in Orlando is not a family-style attraction but the rather cultural Charles Hosmer Morse Museum of American Art. It is devoted to the life and works of Louis Comfort Tiffany, interior decorator and creator of the famous Tiffany glass, and it sits in N. Park avenue, in the centre of the classy, cobbled-street suburb of Winter Park. A large and illuminating collection of rescued Tiffany material, it is also a poignant reminder of how much has been lost. 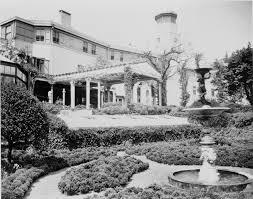 This is Laurelton Hall, the Long Island mansion Tiffany built and lived in as a celebration of his life's work. He intended it as a permanent education centre to offer help and inspiration to future generations of applied artists. Sadly, it didn't work out that way. Financial problems meant that it ended up deteriorating, and it was eventually consumed by fire, destroying most of its astonishingly lavish and imaginative interiors and decorations. The museum's unrivalled collection of photos, art and artefacts fills in so many of the details of Tiffany's life. It has his early sketchbooks and much material on his fascination with flowers and the natural world. 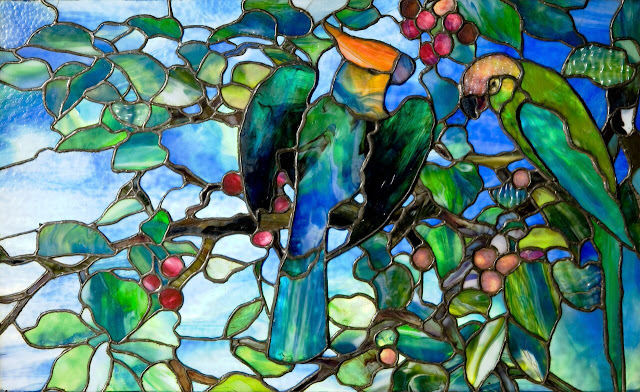 You see how he built his business and worked to translate his obsession with nature into glass, and you learn, too, exactly how he created some of his pieces.
. Parrots lend themselves very well to Tiffany windows, I think. and some of the windows show Tiffany's genius at creating extraordinary effects of light. He was originally an interior designer, and I wondered what became of the millionaires' mansions he designed, surviving here only as black and white photos. However, parts of some interiors have been painstakingly reconstructed - here is a section of a chapel which caused a sensation in the 1893 Chicago World's Columbian Exposition. It is almost entirely made of fragments of glass. There is also a surprising amount of jewellery. I'd kill for some of this, though I'm not sure I would actually wear it. The museum building is plain, elegant and modern, a good contrast to Tiffany's ornate style. If you have the slightest interest in the decorative arts, or in Tiffany, it's very well worth taking the trouble to visit the Morse Museum. From Winter Park, we drove on to Maitland. Maitland itself is run down but it's home to the Audubon Center for Birds of Prey, a fascinating place if you're into wildlife. Docents and conservationists are there to tell you anything you might want to know about, and you can get very close up to the birds, mostly ospreys, kites, bald eagles, and various falcons and owls. Most of them are rescued or unable to live in the wild. And if you don't feel like looking at more birds, you can always sit peacefully in in the gazebo and just look at the waterlilies and butterflies..
By the way, whatever I might say about Disney World's stress, crowds and fastpass system, the fact is that the Audubon is one of the organisations quietly supported by Disney's Worldwide Conservation Fund - read about their work here. 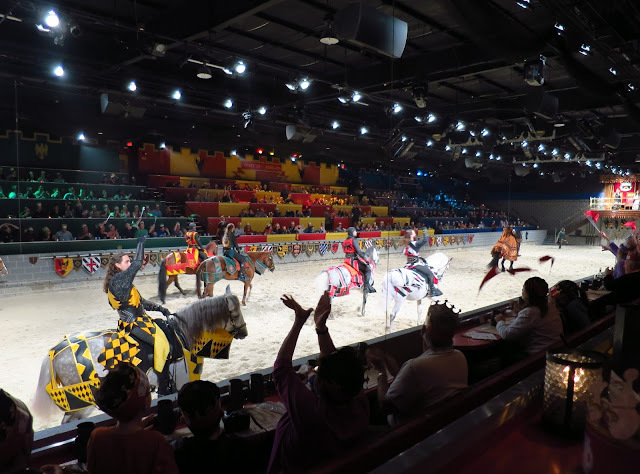 On another evening we drove to Kissimmee and saw Medieval Times. I know it's a franchise, and you can see it at other places than Orlando, but it was new to us and we all thought it was very good. 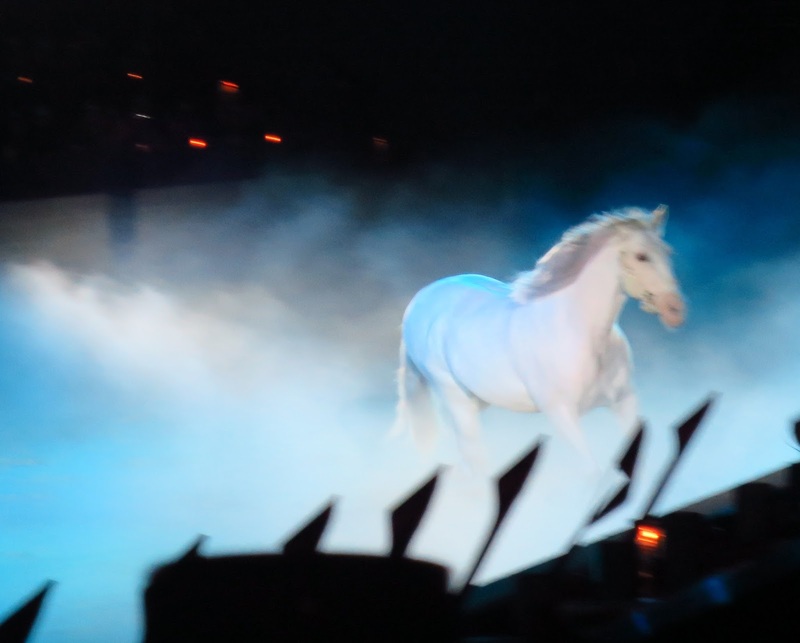 Basically, it's a riding display presented as a kind of musical story, and is both eyecatching and curiously magical at times, as when the horses gallop out of the mist. Both riders and horses are beautifully dressed, as you might be able to see below. I could have done without quite such a hard sell on the photos and souvenirs, but perhaps the profit on the souvenirs goes on the terrific costumes. Anyway, we had a very good evening immersed in an action packed event that completely involved everyone watching, and, most importantly, it got the thumbs up from Young A. On another day, we revisited Kennedy Space Center at Cape Canaveral, one of the region's biggest attractions. A little hint: as soon as you go in, head for the bus tour, because the final bus tour each day seems to depart very early, and it would be a shame to miss it. Volunteers drive you round a flat, weird, gator-filled natural landscape full of historic NASA buildings and then drop you in the huge Apollo/Saturn 5 hall, from which you can progress to all kinds of interactive technology areas or see IMAX space movies, explore a rocket playground or even go on a simulated shuttle launch. You'd have a job to fit it all into just one day. Our trip was marred by getting food poisoning in what must be the worst catering I've encountered since... well, since the last time I went to the Kennedy Space Center, actually. In fact, I'd give their catering one of my special Black Knife Awards for terrible food, except that there was so much to see, and it was so cool to be in the actual shuttle control room and Space Shuttle Atlantis was so evocative that, well, I'd just say take your own sandwiches and enjoy the place, and don't even let the idea of buying their food cross your mind. On the way back from the space center we stopped at the place below, which played a large role in our visit to Florida. Publix is just an ordinary supermarket for people who live there, but to me it seemed to be full of interesting and exotic foodstuffs. Young A soon got to know his way to the hot chicken and chocolate icecream sections, which was all he felt he needed to know. Yes, they are both very much worth it! Wow, you sure packed a lot into your vacation. I have been to Orlando many times, but only visited Disney World. My last time was the best because we stayed in the park and had most of the family with us. Those lines and the cost deter me from going again. Your review of Universal, though, is a good tease, and I might consider going there. Yes, if I had a bit of money to spare I might stay in a nice Disney hotel like Wilderness Lodge or Fort Wilderness and not bother too much with the Disney theme parks, though I'm sure I'd give them another try really. Publix is one of the best chain supermarkets in the country, i love going when we are at the beach in Perdido. You've given me a list of even more things i want to do if we ever get back to Orlando! I hope you do get back to Orlando although it always sounds as if you have a wonderful time in Perdido! I haven't been there, or anywhere near, but I'm glad you share my opinion on PUblix! I'm not one who enjoys battling the madding crowd, so visiting these places with you through your post suits me just fine! Wonderful post and equally wonderful photos. I haven't been blogging much lately but I have tried to keep up with my favourite blogs and your recipes have been quite inspiring to me. I was looking at the St Patricks day recipe for potato bread which I put into my recipe file and I think I'll make it when a friend comes over to dinner in a couple of weeks time, it would be great with the soup. Wonderful post. I want to go back there too, The Harry Potter experience is so a must see and do I hear! Your first photo I never would have guessed was from Florida! It was quite weird to go into the "London" section because they've copied it all so perfectly from places which are generally very familiar to me here in London. But they made them a little bit different. It sort of felt like being in a parallel universe! Fantastic collection of glass there. I love a bit of glass in the door windows and the parrots are excellent window dressing. Cape Canaveral would be fab too but I will take my own sandwich if I ever get there. Not keen on Gators mind. Glad you and the rest had a good time. Especially glad young A found the hot chicken and chocolate ice cream! I don't think you could have been as glad as him! How weird to see Florida here on your blog! I've never been to Universal, never been to the Morse Museum. Definitely been to Publix. Avoid Disney like the plague. Do you get to visit any of the smaller, less well-known Florida attractions? Some of our springs? Weeki-Wachee to see the mermaids? Some of our state parks? Never made it to Weeki-Wachee although I'd love to. Yes, some great state parks. Went canoeing in Blue Springs, I'm a lousy canoeist but didn't really mind till I noticed a few huge gators in the water, I began to hope I'd get Young A home in one piece, or actually get back in one piece myself! I've also some time ago been to Wekiva and also de Leon Springs, and I know Young A would have liked the sugar mill with pancakes, but he wasn't with me on that trip. I know there are many other places I haven't seen even in central Fl and as for the rest of the state, I have never gone as far north or south as I want. That was some trip, Jenny! A wonderful melange of fun and culture. I'd love to see the museum and the Audubon Centre. I don't think I could cope with any of the crowded placec though although Universal looks amazing! Mrs. C. and i are making our first trip to Florida next month. We plan on seeing Key largo and Key West. Love the Tiffany glass. You'll be further south, a bit I've never managed to reach. Have fun! I'm glad your trip to Florida was so memorable. I never have yet made it to the Bok Gardens (that's the place with the bell tower). you must have seen the space center when it was a working operation. Even though the present attraction is terrific, there is nothing to beat a place where they're REALLY working with Challenger, not just telling you about it. I think that theme parks need to be a bit busy, funnily enough, or else you just run around going on all the rides and then start wondering what to do next. I think the ideal point is about halfway between "Where is everyone?" and "OH HELP IT'S JUST TOO BUSY" ! I wonder how well Dagan remembers it. Thanks for another extremely interesting post. You've definitely visited all of the major attractions Florida has to offer. I've never been to Universal Orlando (it seems that all my relatives have) but the Harry Potter stuff is very intriguing. As for Disney - both the Florida and California Magic Kingdoms are absolutely nothing like they used to be. Too rushed, too expensive, far too crowded. The original "magic" seems to have vanished....Definitely no longer "the happiest place on earth". 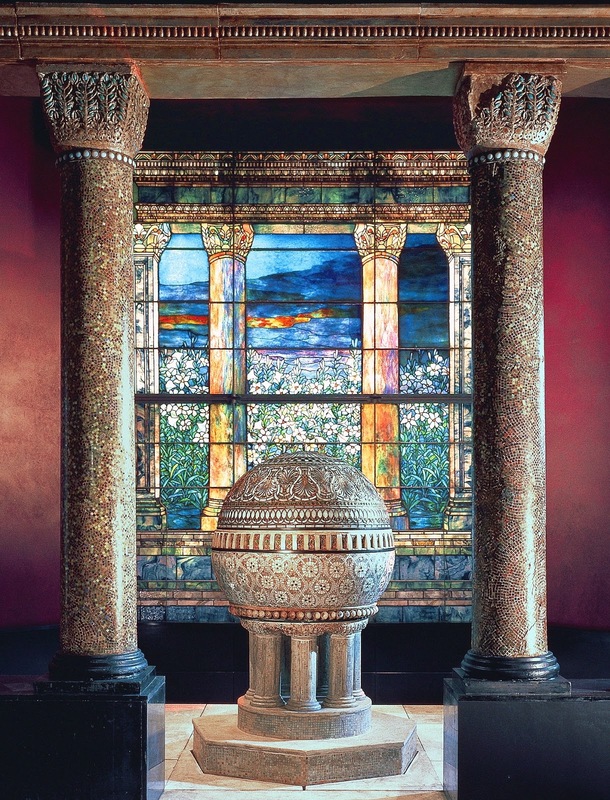 I've never heard of the Charles Hosmer Morse Museum, but those Tiffany windows are spectacular. I love them! I havent been to Disneyland in CA for about 20 years, and I'm sure it's very different. I suppose Disney won't do anything about the crowds unless people stop coming, in which case I guess the problem will solve itself... :) but it did feel very unmagical to have to plan the whole visit like a military operation, and sadly we did not have the opportunity to do that. Non US visitors don't always have unlimited access to smartphones. We have a special plan but if you just use the phone in the regular way the bills can be unbelievable. I'm surprised Disney didn't think of this in making their system rely so heavily on phones, and also a pretty flaky wristband device that certainly wasn't working on the entry gates when we went. It is really neat to get your perspective on central Florida! I didn't know about the Audubon Center - what is the saying about tourists knowing a place better than the residents? Hehehe. I agree with you on Universal vs. Disney - I enjoyed Universal more, though Disney can be fun, too. But the prices and the crowds...ugh. I recognized the shuttle control room immediately. Too bad you had such a bad experience with the food. Come to think of it, when we were there a number of years ago, we had brought our own food and only bought pretzels for a snack while there. And I am so glad you liked Publix! It is headquartered right here in Lakeland. I drive by their main office building every day on the way to work. Oh yes definitely, I never got to see the Tower of London till some guests from the US wanted to see it and I realised I'd never been!!! Yes, I think you were wise to bring your own food, it's slightly puzzling why they don't get better catering really. I heard that Publix is a Florida company but how cool that you drive past their HQ every day. I just looked up Lakeland on the map and it is sooo near - I never knew or I would have suggested calling in! Excellent travel post. You've shown me a Florida that is very different to the one I'm used to hearing about. Thanks. Thanks! I think that the entertainment aspect can certainly get in the way of seeing the more complex and interesting aspects of a place, at least for visitors. Have mever been to Disneyworld or Universal, not much for theme parks. But we did make it to the Kennedy Space Center and we were amazed. Must go back and on your advice will avoid the food. We got to see a night launch and now want to see a day launch, hopefully in May. Half you liked the Public, it's our local store and we love it. Yes, I think Kennedy was better this time than last time we went. Whenever I travel out of country I always love to go to the grocery store. Each country seems to have things that are different from what I'm used to and I find it a wonderful place to bring back food souvenirs to friends! Different tea or mustard or whatever. I would have been in seventh heaven at the Morse. I love Tiffany's work. You always see the lamps and such but to see the larger pieces and jewelry would be such a treat. I haven't been to Universal or Disney for years. Probably close to 20. Even then I liked Universal better but it seems that now there are so many new attractions. How fun for you to be there with young A to get all perspectives. Sounds like a wonderful trip and your write it so well! We got some amazing chili nuts in Publix and they went down very well as a little gift here in the UK. The recipient has been seeking something similar without success. I can't remember what the nuts were actually called - something a bit unusual. Our Floridian friends who we were with, had no idea what they would be like. And yes it is so nice to go with a young person. It's interesting to hear their impressions. What a wonderful informative post Jenny. We went to Disney World about 20 years ago for a conference, and I enjoyed the Epcot Ctr and the Disney park, but had no idea there was so much else to see and do. The Tiffany museum looks gorgeous, and I adore the parrot glass. And the necklace!! As closet Simpsons fans over the years we'd enjoy Mo's Tavern and the Kwik-e-mart too. You packed in so much, and yet there's more, it would appear. What fun! To be honest I think you'd have to spend a month in Orlando to get to see it all, and not all of it would be my cup of tea, but I'm really glad I got to see Universal again after all this time. I've been in and around Orlando many times while out on the truck, but I never got to see any of the good stuff. Oh that is tough. Most of it costs money though so if you have to work it wouldn't be worth doing it for whatever time you could spare. Also, I love the idea of those Harry Potter rides at Universal! In 1999, Harry Potter wasn't yet around (not the way he is today), but I remember the DeLorean ride! Great memories, and more to come. Disney - we didn't go there, as the lady at our hotel said they were holding a "Gay Pride" day when we were in the area, and while I have been having many gay friends since I was 15 or 16, I didn't feel like joining parades and such at Disney. Oh, I think you should revisit the space center. It's quite different. I was there during full shuttle operation too and actually saw the Crawler crawling along unbelievably slowly. Now, it's more of a tourist attraction but you do learn a lot. I think it might have been a little strange to go to Disney and see it packed out with one particular group of people but I would recommend another visit, at least to the Magic Kingdom, if you are there at a "slow" time of year - November or something. I've done Disney and Universal but not for a few years now, but after reading your post I think I'd like to revisit Universal again. I've never seen the Harry Potter films (not my cuppa tea) but it still sounds like the sets and rides would be great fun! It's sad to read about Disney, I wonder if they need to limit the amount of people in the theme park, but then of course that would mean less profit. Not having children, I've never been to Disneyland, but it sounds as if they're letting things slide a bit. The Charles Hosmer Morse Museum looks fascinating. 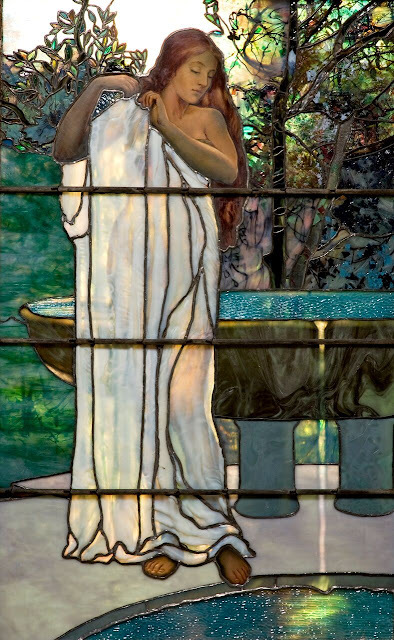 I've been to the Driehaus Gallery in Chicago, which has 11 Tiffany stained glass windows. You may have been there too. The photo of the chapel section is amazing. No, I have never been to the Driehaus gallery, or even heard of it. I will certainly remember it if I go to Chicago. What a fascinating place - I've been to Orlando once, for a conference, and saw nothing more exciting than the inside if a huge hotel. I can't recall anything about the conference, so maybe I'd have got more out of the trip if I'd played truant! I agree it's a pity to go all the way to anywhere and not get the chance to see what was around. I often wonder why companies hold conferences in faraway places! I always fancied going to Florida but never made it. Sadly, it will never happen. Never mind, I can enjoy your posts and learn more about it that way. Sometimes it is the best way actually. Lots of places I am content to see through others' blogs. I love the range of this post - from Publix to a Tiffany museum, and everything in between! 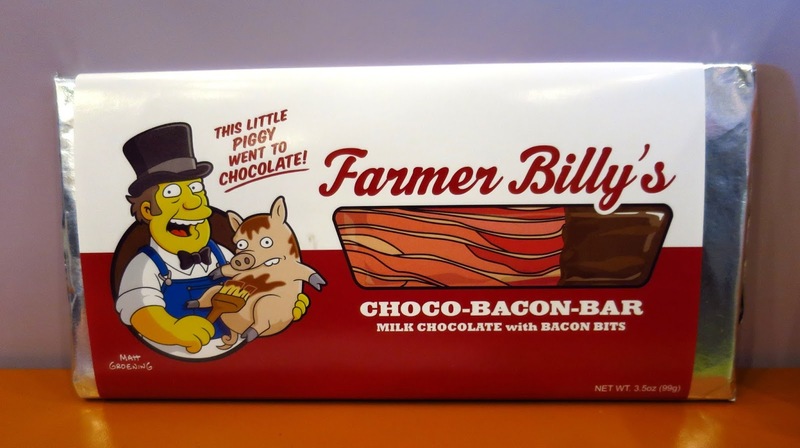 I wouldn't have been able to resist the bacon chocolate bar. I always felt like I needed a vacation after going to FL. We always took the kids out of school and went in October. It was pretty empty then. We haven't been to Universal since they opened Harry Potter and I'm dying to go. I think we will have to try and schedule something in. Disney will always have a magical place in my heart but it is too packed and overpriced. Yes I think October is one of the best months, January also. Overpriced, there is nothing that can be done, I don't think it would be overpriced if you can actually get on enough rides and have a good time. I hope it will all be better in a while when they have done their great big facelift. Jenny you had a nice adventure, I'm not fun of Disney, sorry! There were not translated Disney movies in my childhood here. But I love very much stained glass and it is a pleasure to see Tiffany's works on your photos. I'd love to visit Kennedy Space center as well, it's very interesting (with my sandwiches). It would be the Tiffany Museum that tempted me. I love the stained glass window you showed with the girl and the water, so beautiful. I always feel a little guilty that I never took my children to a theme park. They may now be grown up but perhaps it's not too late! I felt exhausted reading that. I should tink that you need another holiday. You packed in so much vacation, I would love to visit Harry Potter it just seems like so much fun. When he was young I took oldest son to Medieval Times for his birthday and he loved it and we had fun. I went through an old box of photos and ran across this photo and I had to smile. Now you need to rest up from your vacation. Haha! Yes. It was a working trip so I couldn't be as lazy as usual! I am glad the Mediaeval Times pic brought back memories. I thought it must be a really reliable place to take children, it's so cleverly planned and organised. A wonderful trip and how great that you visited Winter Park. 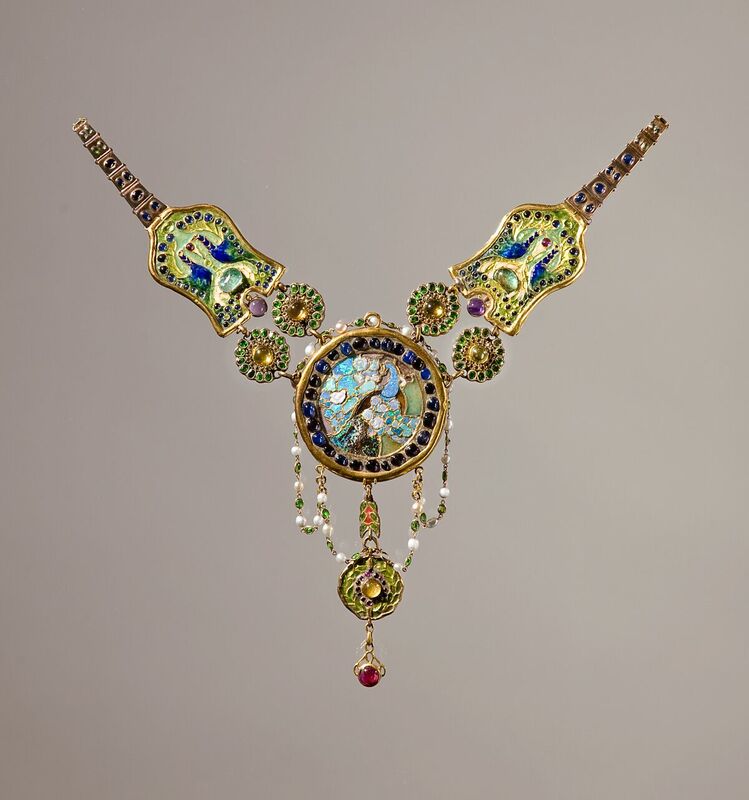 It is a fabulous place and the Tiffany Museum is very interesting. How miserable to get food poisoning. Hope you are fully recovered. I LOVE this post! Like you, as a travel agent for many years, I had my MICKY MOUSE ears for booking and sending so many to Disney and I LOVED it, but now, not so much. Oh dear, I hate to say it, but it is just TOO big and crowded for me. We took our son to Universal Studios many years ago (he was 10) and it was wonderful. Oh you know just how I feel.about Disney! I'm very glad I could show you some attractions you hadn't seen before and I hope that next time you find yourself in the area, you'll have the chance to visit. I would love to visit Georgia one day and meet you! I would love to see more of the South- I've only ever visited FL and Louisiana. A friend recently went to Disney World and posted SOOOOOOOOO many pictures on facebook during the trip that I wondered how she had any time to actually enjoy it! I briefly considered unfriending her because of what felt like 1000+ posts per day (I didn't) - though it was probably only 100+ a day. It really was quite a lot. I went to Disneyland in high school with a dance team and didn't enjoy it very much. Had I gone with a different group of people, I may have had a better experience. We only got like 5 hours there too, so we missed a lot. That Medieval Times looks interesting! I've seen bits and pieces of shows like that on TV and now I want to go to one. Ha - I love that Young A saw all he needed to from the chicken and chocolate ice cream section of Publix! That sounds a lot like me. Yes, I would really be put off someone's post if they had endless pictures. I can't imagine 100 a day really, but hm, yes, I might have unfriended too, in fact I don't think I would have been so patient as you and would DEFINITELY have unfriended! I don't think 5 hours is enough for Disneyland, what with all the standing in line, etc. and if you're with people who get on your nerves a bit that must make it feel pretty stressful. I was surprised at how good Medieval times was, it's nice to go with a couple of friends and get into the spirit of it. What an awesome trip to Florida. As per usual, your photos are wonderful. I've been told that in Florida you hear a lot of British accents. Orlando is Magic, if you get what I mean. Thank you, Gary, and yes, you do hear British accents, our friends in Orlando say that many Brits have moved there to run businesses etc. although I am not sure how they get their "green cards" ! Glad you enjoyed most of this trip. 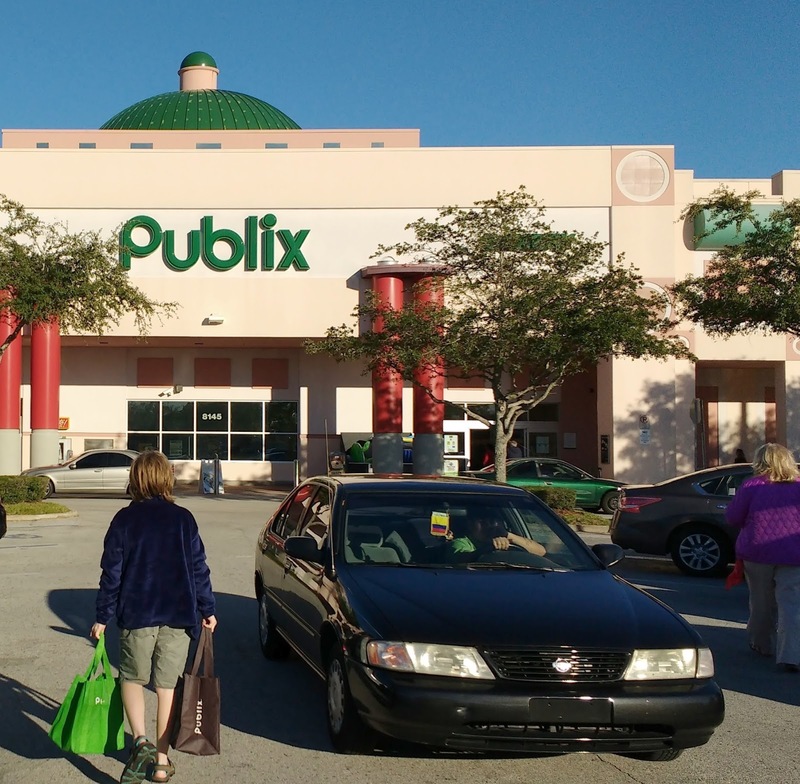 As someone who lives in this State, I don't visit tourist spots too often and rarely shop in Publix as Aldi is much cheaper and has better priced organics. You might be interested to know that among residents, more people visit their public libraries than frequent tourist attractions...Best to you! I am glad to hear that more people visit the library than the theme parks! I think it must be a strange experience to work in theme parks. I think the ones who do the "characters" find it really hard because there is always some joker or other who wants to tease them. Dear Jenny – As always you visited various interesting places, but the Morse Museum is the most appealing to me. I’m not interested in jewelry but Art Glasses and Lamps. Talking of the Universal Studio, one fourth of the visitors to USJ is foreign tourists according to the recent survey. I guess most of them are from China and Korea. I enjoyed Back to the Future Ride and the likes right after it was opened many years ago. Hello, Jenny, thank you for your comment. I’m glad you saw remembrances between my grandson Y and me. Those who know me say Y looks like me and my daughter, those who know his father say Y looks like him. The characters of Y and my first grandchild F were very much alike, but gradually they have changed. I didn’t know azaleas grow on acid soil and now I understood there’s no wonder about wild azaleas at Mt. Rokko. The mountain is composed of acidic soil from granites, which makes many bright, deep blue wild hydrangeas bloom. I don’t know enough about Harry Potter but it still looks fun. I love those stained glass windows - especially the parrots. Something lovely about the style of glass he used makes it specially good for parrots. I think it's referred to in the glass trade as "art glass" and you can portray colours shading into one another. I keep getting nudged towards reading Harry Potter. When I read "Charles Hosmer Morse" I immediately thought of the code (apparently he was a relative of Samuel) and imagined a museum of Morse keys. As a Morse code fan (geeky, I know) I would have enjoyed that! 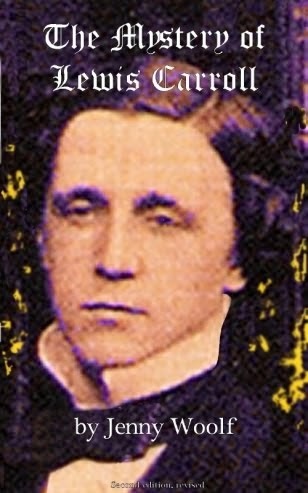 And the name Hosmer always reminds me of the strange Sherlock Holmes story, A Case of Identity. If one can have a thirst for morse code, I mean. To be honest I don't think that's possible. It is (possible)! I can manage 14 words per minute, which is tediously slow by Morse standards. Reading is harder than sending. Real Morse fiends go at least twice my speed! Thank you for the link. I'll check it out. The great thing about Morse is that it enables one to communicate with very simple (possibly home made) radio equipment. To transmit it you simply need to be able to turn something on and off. Consequently, Morse is thriving on the amateur radio bands. It was fun reading about your adventures in Florida to sights I have heard so much about since the 1970s when we moved to Georgia, but never visited. Our daughters did go to Disney World when they were in high school but that’s it. I lived in California for ten years and drove by Disneyland several times but was never interested into going in; the same for Disney World as we have been to Florida so often for vacations. My mother even retired close to Marne la Vallée in France which is where Disneyland Paris is located. I would take the train and arrive right in front of the entrance of Euro Disney as it was called then, but never went inside either. I don’t know why it never appealed to me, and my husband never wanted to go either – maybe it’s too commercial and crowded for us, but I know many people love it there. The Morse museum though, that sounds more like something we would love to visit. I was looking down my sidebar to see if I'd missed any posts recently on my Dashboard and had a déjà vu moment. I knew I'd ready it but couldn't recall making a comment: probably got sidetracked. So here goes. Disneyland/World. I don't know a single person, however sceptical beforehand, who didn't thoroughly enjoy it. Me? I don't do crowds or queues so who knows how I'd feel if I actually went (which is increasingly unlikely). I do like Harry Potter so I think I'd choose Universal first. However it's all pretty academic because I am unlikely ever to visit North America again: I couldn't afford the travel insurance! Travel insurance is an appalling price, isn't it? I have found that on the very rare reasons when I need to claim, they rarely pay up, and find a reason somehow not to. As for theme parks, I think someone who dislikes crowds as much as you do, would actually have a hard time in Universal or Disney, so the question probably should be kept academic for that reason too! I have no problem with travel insurance for Europe (at the moment!) or Australia or New Zealand but when I enquired about it for Canada I was refused outright. I've never bothered since: I can live without going to North America again. 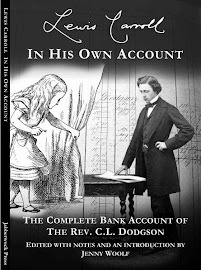 A most interesting and exhaustive account of Orlando and environs. (I almost said "exhausting" but that might only apply to the Disney visit!). I have visited Orlando but now I now I only scratched the surface. Thanks for such and informative post, and also thanks for stopping by on my blog. I'll have to visit Orlando. Looks interesting and fun! Tiffany was a genius for creating beautiful things! There is a Tiffany exhibit currently at the New York Historical Society, and you have peaked my interest in going with you blog, Jenny. I'll put Orlando on my bucket list too! I agree with you about Tiffany. I hope you enjoy the exhibition at the NY Historical Society. We see less of his work over here and I always enjoy it when I do! I visited Orlando when I was 16 and I must say it was the time of my life :) very fond memories. I like that collection of the wizardly writing instruments.